How removable? There are a couple main types: bolt through fender or strap to fender. I run a bolt on and it stays. I don't trust a strap-to behind me. I’ve had a bolt on on my dirt bike before and that worked for carrying a tool kit and a few emergency items but for this I was thinking something I could carry my documents and wallet and phone and such in and I don’t want to leave it when I go in a store or park somewhere in public so I was thinking something removable. 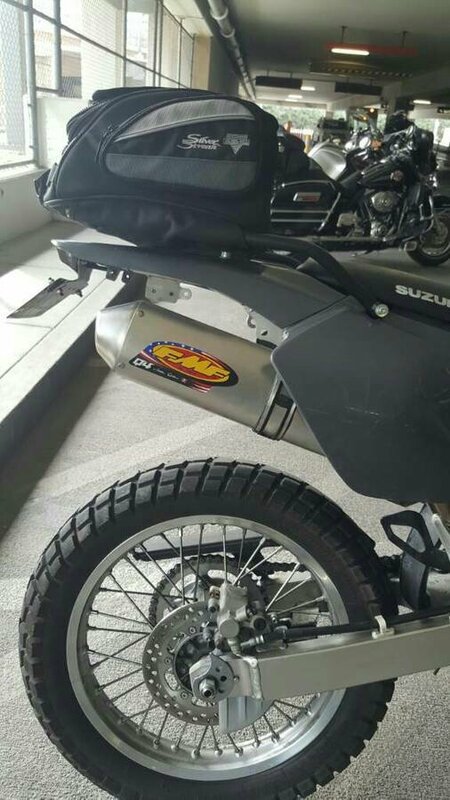 i use a magnetic tank bag (from my previous bike) that is on my rear rack. for a tail bag i'd think bigger and you need a rack .. in my opinion the most handy well designed tail bag out there for everyday use is the dowco overnight bag, its stiff walled, holds alot and perfect size for about any bike ..
How much money are you looking to spend and will it need to be waterproof? Just bought a Kriega US-20 dry bag, but they are not cheap at over $120. If you don't need that volume they sell 5 and 20 liter drybags around the $70 range. Expensive, but it's hard to beat the quality and still have waterproofing. Here is the one I use, OGIO. It works great, water proof fly and easy to remove and install. Fits perfect on my custom fender rack. I have this tail pack when commuting. Small enough for paperword and the odd bits and ends. Use the 10 liter when I have to carry larger things. I picked up a $5.00 camera bag at big lots. Small but big enough for registration, sunglasses, tire gauge and a small tool kit. I bolted mine on the stock bag location but a piece of Velcro would work good and the case has ( had) a strap with it.